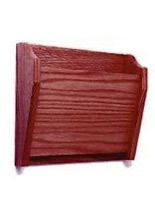 These wooden file racks are prfect for offices and businesses. 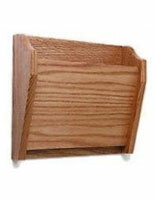 Organize your files and folders in this one pocket wall mount. 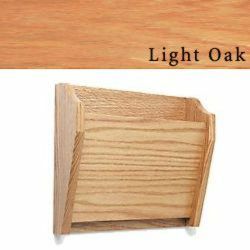 Each light oak rack comes with wall mounts for easy installation. The pocket is designed to hold material up to 3/4" thick. The racks are 14" x 12" making them small enough to mount over desks. Order today for all your storage needs.